The 13th fundraising concert for The Yorkshire Cancer Centre Appeal (Formerly Cookridge) Reg charity no 1075308. Jim Diamond is best loved for his million selling hits “I Won’t Let You Down”, “I Should Have Known Better”, “Hi Ho Silver” and his beautifully haunting voice … Born in Glasgow’s East End, Jim, heavily influenced by the voices of Ray Charles and Otis Redding ,joined his first band at the age of 14. This brought his voice to the attention of the Godfather of British Blues, Alexis Korner, who invited him to work with him on his “Just Easy” album. Jim was then approached to go to Los Angeles to form a band with Earl Slick (guitarist on Bowie’s “Young Americans”) and Carmine Appice from Rod Stewart’s band. All three went on to write and record with Eddie Kramer, the legendary producer of Jimmi Hendrix. While in LA, Jim was asked to return to London to hook up with Tony Hymas and Simon Phillips from the Jeff Beck band and so Ph.D were formed. The first single taken from “Ph.D The Album”, “I Won’t Let You Down” went on to sell millions and become the classic song that it is today. When Ph.D went their separate ways, Jim signed to A&M Records. Taken from his 1984 solo album “Double Crossed” the single “I Should Have Known Better” went straight to No.1 and went on to be nominated for an Ivor Novello award. The song’s success became synonymous with the Band Aid single released at the same time when Jim urged the public to buy the charity single and not his own. His next single “Hi Ho Silver” taken from his second solo album “Desire for Freedom” scored Jim another top ten hit. Jim went on the road to perform his songs acoustically in art centres across the country ending up at the Edinburgh Festival where The Scotsman described him, in their 5 star review, as Scotland’s answer to Ray Charles and a writer of hidden depth. In the late nineties Jim met up with saxophonist Snake Davis and discovering a shared love of blues and soul they joined forces and performed together to critical acclaim, performing together discovering a wonderful on and off-stage chemistry, based on their shared love of soul music, heartfelt melodies and great lyrics. Snake Davis is well established as one of the UK’s leading Saxophonists. He is in demand from the biggest names on the British Popular music scene, as well as visiting artists from overseas. In recent years he has been extremely busy and in the public eye. As resident saxophonist on “Tonight With Jonathon Ross” he played with the likes of, James Brown, Smokey Robinson, Chaka Khan and many more. He has been seen regularly on TV with the Eurythmics and M-People . He played all featured Saxophone and Flute parts – on record and tour – for Lisa Stansfield and M-People. A definitive list of the famous musicians that Snake has toured and recorded with would be far too long to include here, here are but a few: M-People, Lisa Stansfield, Ray Charles, Tom Jones, Culture Club, George Michael, Tina Turner, Take That, Cher, Kylie Minogue, Paul McCartney, Paul Young, Pet-Shop Boys, Soul11Soul, Robert Palmer, Motorhead, Primal Scream and the Spice Girls. 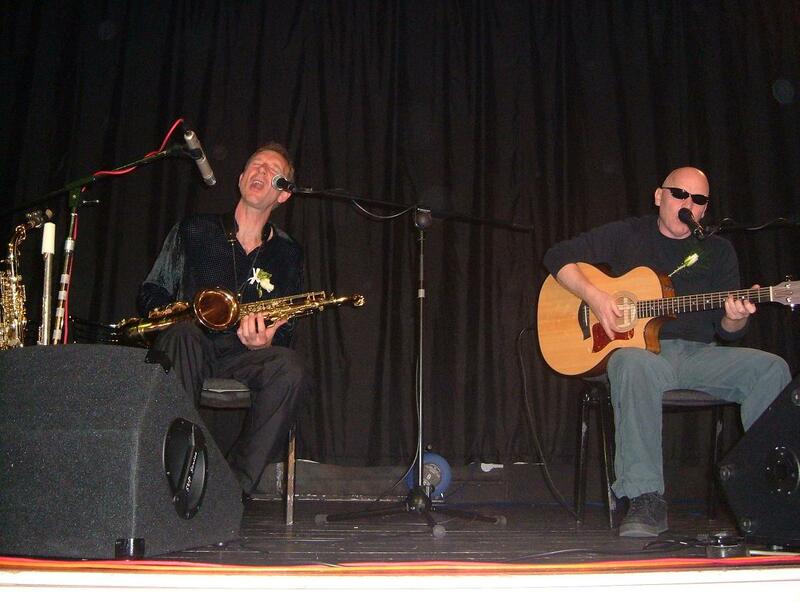 This is not the first time that Jim and Snake have played at the Shire Hall, in fact Jim’s very first appearance was back in 1998 for the very first Cookridge Cancer Centre appeal concert alongside Brian Willoughby who was then in the Strawbs. Other renowned artists who have appeared in the Cookridge (Now The Yorkshire Cancer Centre Appeal) series are: Jim and Snake (twice) The Groundhogs, Waterson:Carthy, Lindisfarne, Midge Ure, The Sensational Alex Harvey Band, Wilko Johnson and John Otway, Chris Farlowe and Mungo Jerry. Over the years a significant amount of money has been raised for the appeal and this year, the 13th concert, it is hoped we can get past the 30k mark. With a superb musical entertainment such as this that must be a foregone conclusion? It had become something of a tradition to feature two, sometimes three, support artists for this event but the person we have in that slot this year is so very, very good we thought we would give the audience the opportunity to sample the delight that is Paul Liddell in full. 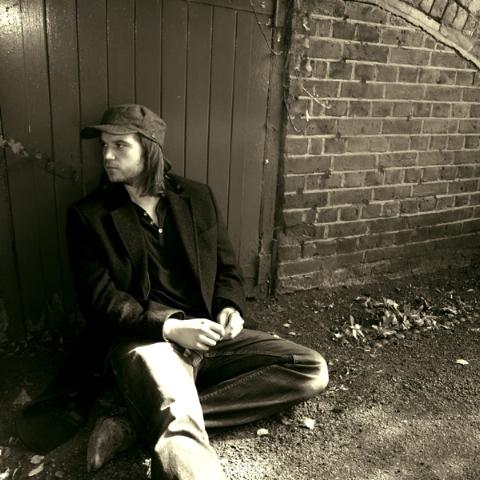 Paul is already somewhat a veteran of the acoustic music world, having released two solo albums and an EP, and an EP with his band ‘Delphians’. His second album ‘A Lighthouse Keeper’s Diary’ was released on his own label ‘Regulus Music’ and was distributed in stores around the UK by Universal/Absolute. Paul is an experienced live performer too. His raw and unpretentious delivery combined with the use of live sampling, guitar percussion and layered vocal harmonies provide a great platform for his wonderful songs to shine. Have a listen to Paul here……. NEW 2 Plus last minute support band!